4. How come there were so many soil samples from India with a positive aura? 6. Why are soil samples from religious places recording such high levels of negative vibrations ? 7. What are the implications of such a study ? 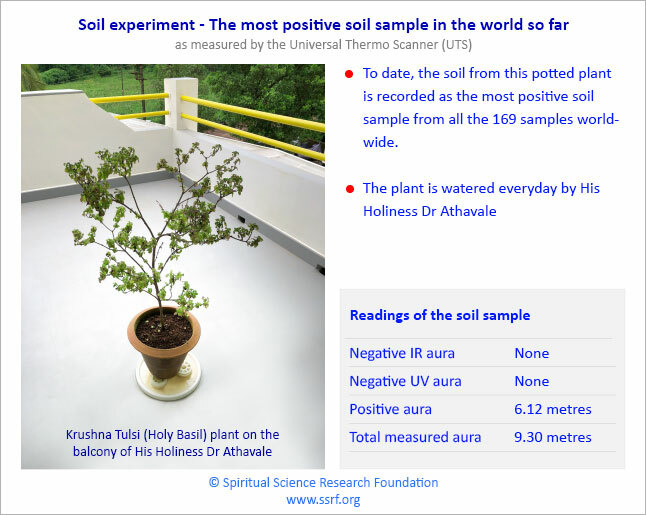 In Part 1 – How SSRF and the Maharshi Adhyatma Vishwavidyalay (also known as the Maharshi University of Spirituality or MAV) went about setting up the experiment and also some of the key findings for each type of soil were covered. Part 2 goes into more detail providing insight into how soil is affected by people. An analysis of how some of the world’s biggest tourist destinations are actually fraught with negative vibrations is also included. The most spiritually pure soil sample in the world out of the 169 samples measured at the time of this report is revealed. The study is still underway, and it is planned to continue measuring at least a thousand more soil samples from around the world. 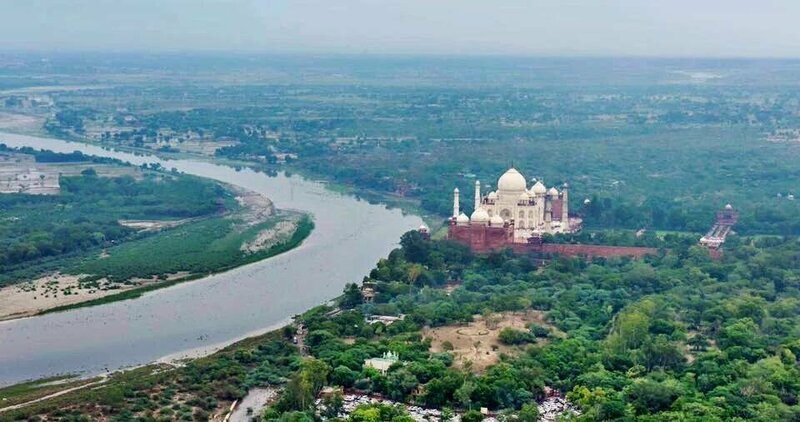 In the soil samples from Heritage sites, the soil and water samples from the Taj Mahal located in Agra, India were observed as being some of the worst affected at the spiritual level as they all had a significant negative aura. The measurements were taken using the Universal Thermo Scanner (UTS). The soil and water samples from the Taj Mahal not only had a negative IR aura, but they also had a negative UV aura which is related to intense negative energy activity. In the below chart the soil and water readings from the premises of the Taj Mahal are displayed. 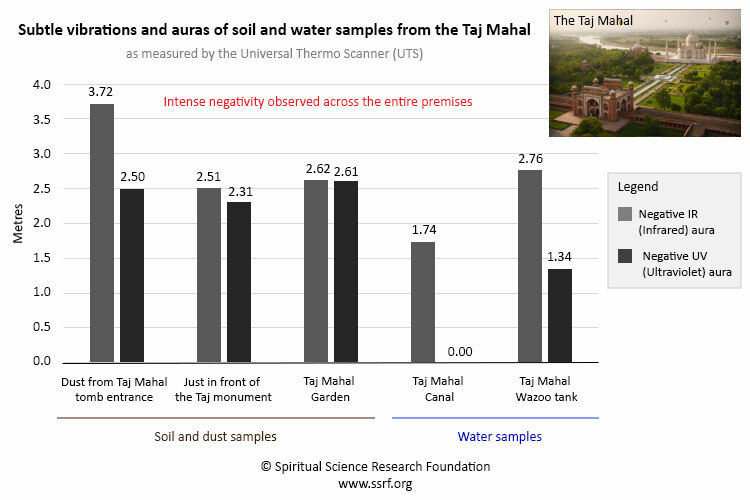 The dust from the Taj Mahal tomb entrance had the highest Negative IR aura reading of all soil samples from heritage sites. 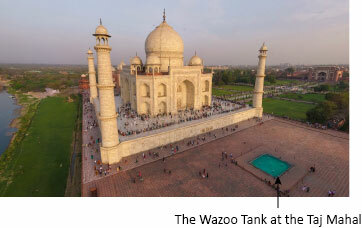 The Wazoo tank just next to the Taj Mahal had the highest Negative IR reading of all the water samples worldwide. Interestingly just behind the Taj Mahal flows the River Yamuna. Even though the river has been known to be quite polluted (at the physical level), the UTS readings were very positive. It had no signs of any negative vibrations and this is despite its proximity to the Taj. So, this uncovers an interesting and important finding and concept in relation to land and water. Physical pollution does not mean spiritual pollution and alternatively having a clean and neat place does not mean that it is spiritually clean. 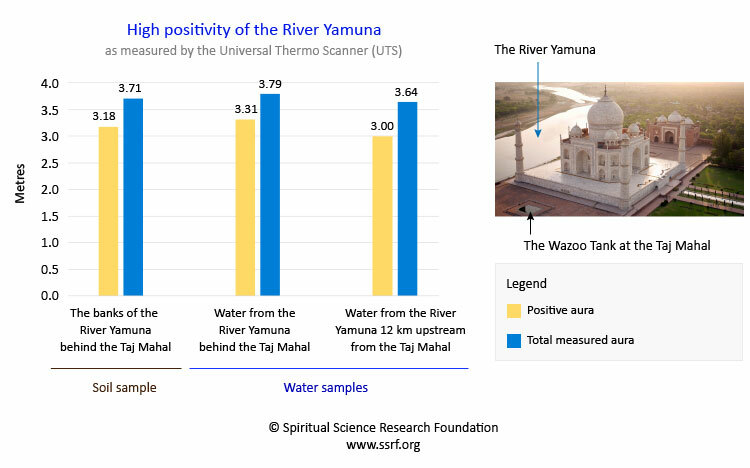 Another interesting observation was that out of the water samples collected from the River Yamuna, the one that was most positive was the one that was collected from where it flowed by the Taj Mahal. The River Yamuna was a little less positive 12 km upstream and more positive just next to the Taj Mahal. This is despite the Taj Mahal being one of the most spiritually polluted heritage sites in the world. The positivity of the River Yamuna it seems was totally unaffected by the Taj’s negativity. So, what was the reason for this ? We found through spiritual research that it was nature’s Divine way of fighting with the negativity of the Taj Mahal or other areas of negativity. 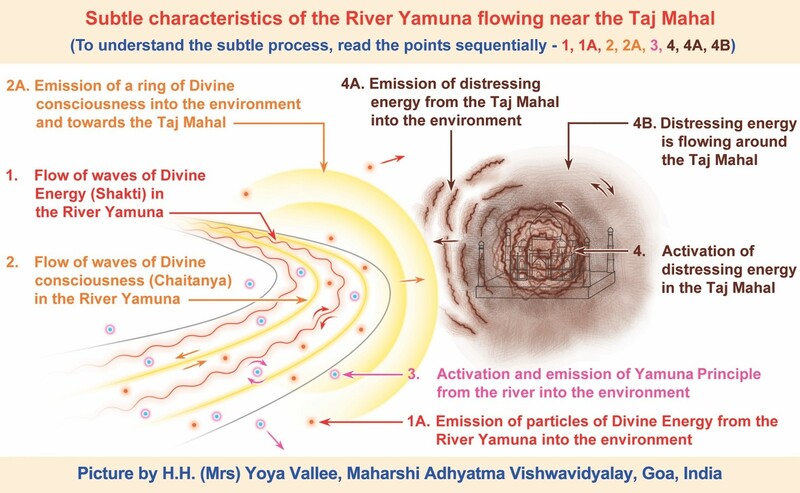 This subtle picture shows that there is a subtle battle ensuing between the Yamuna and the Taj and how Divine consciousness is continuously flowing towards the Taj Mahal. This reduces the negativity in the environment from the Taj Mahal and keeps its negativity in check from spreading over a larger area. Why is the Taj Mahal so negative from a spiritual perspective ? The Taj Mahal is basically a tomb. Tombs of spiritually average people emit negative vibrations just like any graveyard would. However, with the tremendous flow of tourists and visitors to the Taj Mahal, it has become an ideal site for negative energies to adversely affect people. To this end, the entire premises in the subtle has been captured by negative energies and infused with even more negativity. Hence, the entire premises is badly affected from a spiritual perspective and so every unsuspecting tourist that visits the heritage side is also adversely affected. Other heritage sites especially those that were associated with violence such as the Colosseum in Rome or Alcatraz Island on San Francisco Bay, USA are likely to have high levels of negative vibrations. 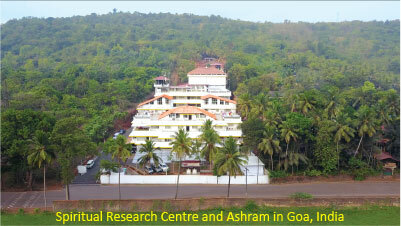 UTS readings recorded positive subtle vibrations for one hundred percent of both the soil and water samples from various parts of the Spiritual Research Centre and Ashram in Goa, India. 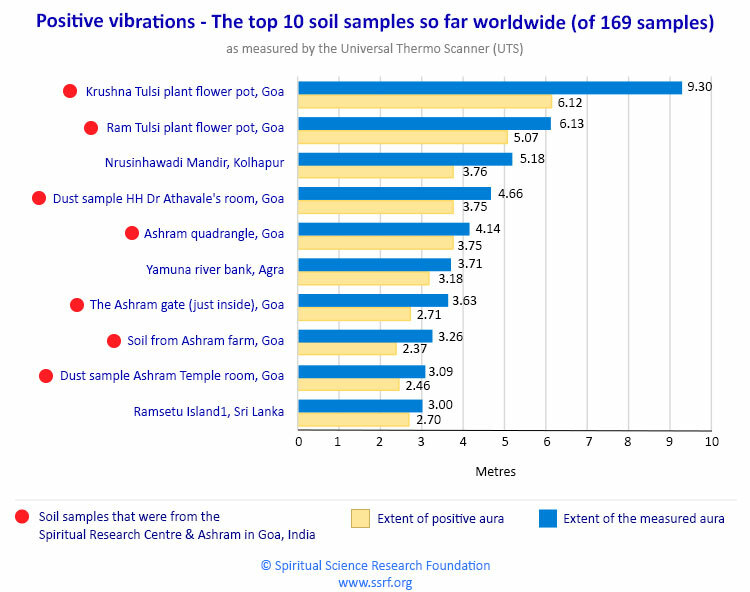 Not only did they record positive vibrations, but the remarkable fact is that 7 of the top 10 soil samples in terms of positive aura, were from the Spiritual Research Centre and Ashram in Goa, India. In the chart below, the samples from the Ashram are marked with a large red dot. The soil samples from the Spiritual Research Centre had far greater levels of positivity than samples from within the vicinity of its premises. In fact, a soil sample that was collected just outside the Ashram premises had 50% less positivity. The readings of the soil and water samples within the Ashram seem to show that the Ashram is in a big bubble of intense positive vibrations, which positively affects every object and person within its premises. 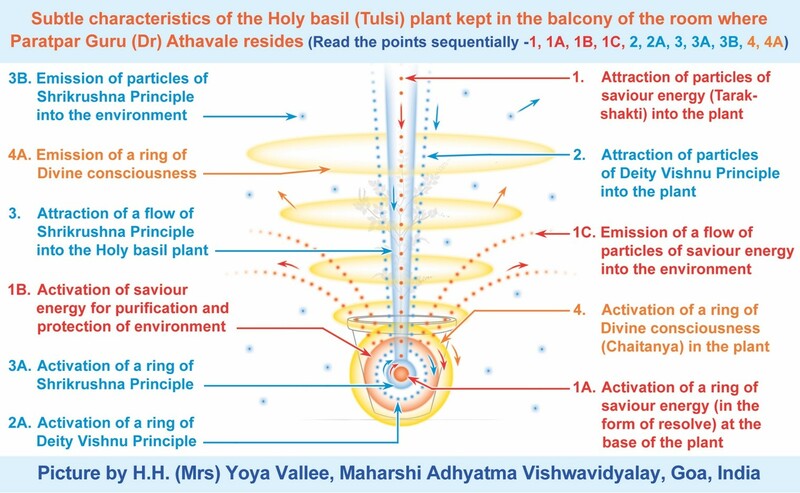 This is an image (see below) of the flower pot on the balcony of His Holiness Dr Athavale’s room, from which the soil sample that had the highest positive aura of 6.12 metres and a total measured aura of 9.30 metres was collected. H.H. Dr Athavale Himself waters this Krushna Tulsi (Holy Basil) plant daily. The picture below shows what the above plant and soil looks like in the subtle. The subtle artist saw a flow of positive energy being attracted to the plant and also being emitted by the plant and soil into the environment. Of the 68 samples from India, 45% of them actually had a positive aura. With India being the only country with such a high proportion of soil samples emitting a positive aura, one may ask as to why this was so. There are many reasons and here are a few. India has the maximum amount of spiritual positivity as Spirituality is embedded into every aspect of the culture. Original Indian or Bharatiya culture is about increasing positive vibrations and reducing negative vibrations in all aspects of life. This culture while being eroded to some extent with modern trends, by and large is still pervasive amongst Indians. It has the greatest number of Saints worldwide. In fact, there are more Saints in India than in all other countries combined. The practice of performing Yadnyas or sacrificial fires along with mantras in Sanskrit has an intense positive effect on the environment and can last for many months and years. Rituals known as pujas are conducted before developing land and entering the premises of a new home. Ritualistic worship of the deity of the place and the city are very often carried out which in turn activates these Divine Deity Principles in that area. Vastushastra, the ancient Indian system of architecture which literally translates to ‘science of architecture’ is practised. Vastushastra has a spiritual base and is designed to increase the positive subtle vibrations in the premises. It integrates architecture with nature, the relative functions of various parts of a structure, and ancient beliefs utilizing geometric patterns (yantra), symmetry and directional alignments. India has one of the lowest rates of meat consumption in the world with approximately 30-35% of the population being vegetarian. High levels of spiritual impurity get generated with the industrialised slaughter of animals. The vast majority of people in India (approximately 75%) are cremated hence there is lesser spiritual pollution from graveyards per person compared to the rest of the world. 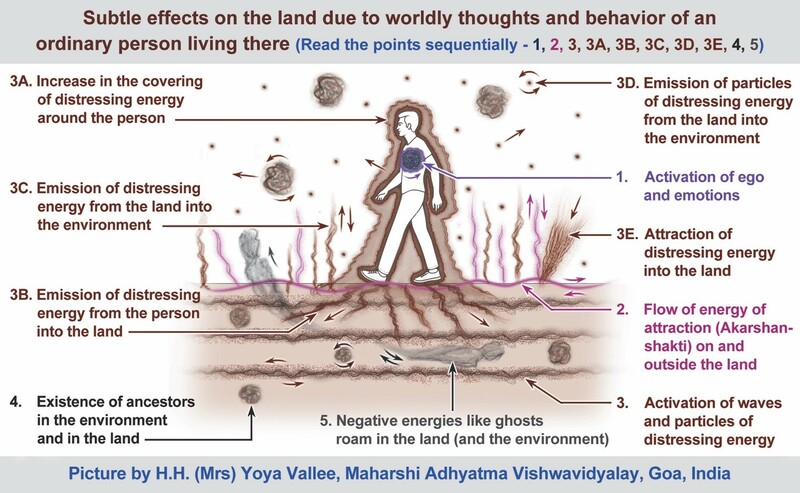 This is a subtle picture of how human is affecting the environment and what it shows is how each person’s thoughts and attitudes due to their materialistic behaviour, lack of Spirituality, personality defects and ego send subtle negative vibrations into the environment and get absorbed by the land and water, flora and fauna. Along with this, negative energies capitalise on this lacking in humanity and increase the overall negativity in the environment. Another aspect is that most people may have forgotten the suffering from social upheavals and wars that led to millions of deaths over the centuries, but the soil has not and has retained the memories of these adverse events as negative vibrations. Well, the short answer is that ‘negative energies’ from the subtle realm attack such places affecting both the priests and the devotees. This reduces their ability to practice Spirituality and hence the spiritual positivity of the environment. Unless there is the presence of Saints and their guidance to devotees, they are not able to grow in their spiritual practice. The religious places that were not affected were places where true Spirituality was being practised, where Deity principles were active, or where a Saint was residing. Well for one, it provides a new perspective on how land should be evaluated and the actual worth of real estate. There is a direct effect of humanity on the environment and this is at the physical, psychological and spiritual levels. This leads to a looping effect where the very soil and water that people adversely affect emits negative vibrations that boomerangs back to affect the very same people. This affects the psyche of people and negative energies from the spiritual dimension capitalise on this. This results in a negative vortex where people stop or shun any form of spiritual practice and embrace materialism and a selfish view of life. Staying on land that emits negative vibrations affects the families on it creating lots of problems such as infighting, depression, addictions, etc. 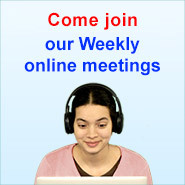 It also leads to various ills in society thus reducing the overall quality of life. Sustained increases in negativity in the environment primarily created by humans and (assisted by) negative energies go on to destabilise the Absolute Cosmic Principles of Earth, Water, Fire, Air and Ether. This results in an increase in weird weather patterns and catastrophic natural disasters. When there is positivity in the environment, the Absolute Cosmic Principles are stable, and weather conditions are in control and predictable. There are a few things that land developers can do to increase the spiritual positivity in the environment. Firstly, conduct rituals to purify the land before any development. Pay obeisance to the Deity of the place and city. 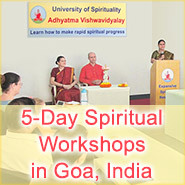 Adhere to Vastushastra, which is the Spiritual Science of Architecture. This is both for the land being developed and the way buildings, houses and flats are designed and constructed. Do not build next to a graveyard as it will negatively affect the residents of the premises for the entire period they stay there. If one does not take into account the spiritual and subtle aspects of land in one’s evaluation of it, more than 70% of the data needed for a proper evaluation is missed. Just because things look nice, clean and orderly at a physical level, does not mean that spiritually, all is well. The study of soil has found that some of the most affluent places on Earth actually emit the most negative vibrations. Basically, the vibrations from land and waterways depend on how one makes use of them and the purposes they are used for. Accordingly, they can be a heaven or hell in terms of spiritual vibrations. This is independent of how valuable the land is from a materialistic point of view. For example, compared to prices of real-estate around the world, the cost of land that the Spiritual Research Centre and Ashram is built on is a pittance. Yet, when it comes to spiritual positivity, the readings from the Universal Thermo Scanner have shown that the Ashram is so far the most valuable real estate in the world in terms of spiritual vibrations. While the study is still underway the soil sample benchmarks set at the Ashram will be tough to beat. Currently the soil and waterways of the world are spiritually polluted, and this has an adverse effect on humanity. People cannot individually change humanity’s ways, but by practising Spirituality as per universal principles, it helps to build a protective sheath around one and enables one to experience mental stability and a better quality of life. Then, a person can contribute positively to the environment by adding some spiritual positivity to it due to their spiritual practice. Who is His Holiness Dr Athavale?